I don't do this very often, but allow me a moment this Shabbat to talk about something a little more personal. Recently, my husband and I suffered a loss of a beloved family member, my husband's father. Truly, words cannot express what a loving, kind, devoted father, husband, and mentsch that he was. The world has truly lost one of it's great souls. Through it all, I am overcome by the outpouring of support and love that we have felt from our extended family, our friends, and the broader community. Truly, the food in the shiva house overflows the freezers. And back home, we have received so many offers for dinners and food, especially with the holidays approaching and this busy time. While my husband remains with his mother and brothers, I spent some time today with my own mother, grateful for her love, support, and strength through this difficult time. 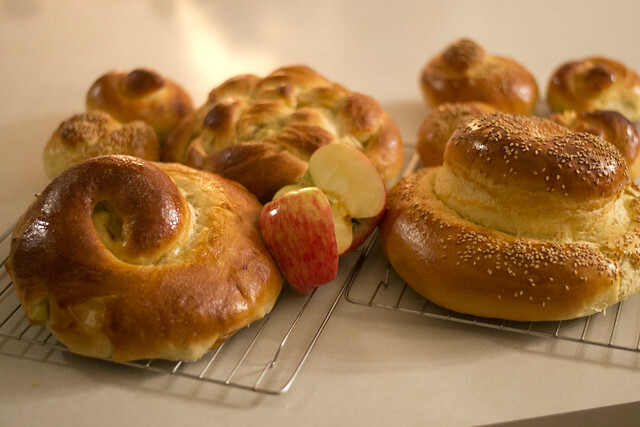 Together, we baked challah for Rosh HaShanah. Thank you to all of you who have reached out to my family during this difficult time. 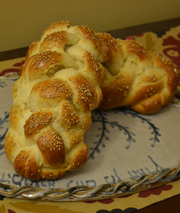 We'll be back to more regularly scheduled blogging after Yom Kippur.